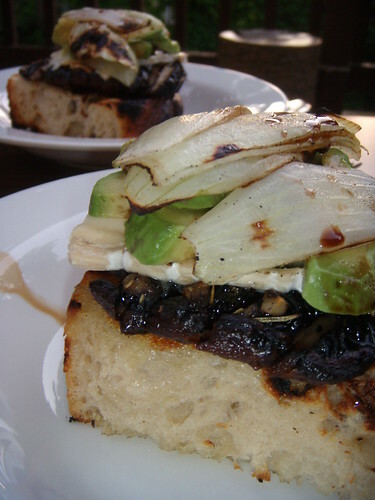 open-faced portobello sandwich, originally uploaded by aarn! +16th June, 2008+. grilled portobello mushroom marinated in garlic, lemon, rosemary, and grapeseed oil, topped with a slice of st. andre cheese, avocado, and grilled sweet onion, served on a grilled slab of iggy's onion focaccia, with a splash of balsamic on top.